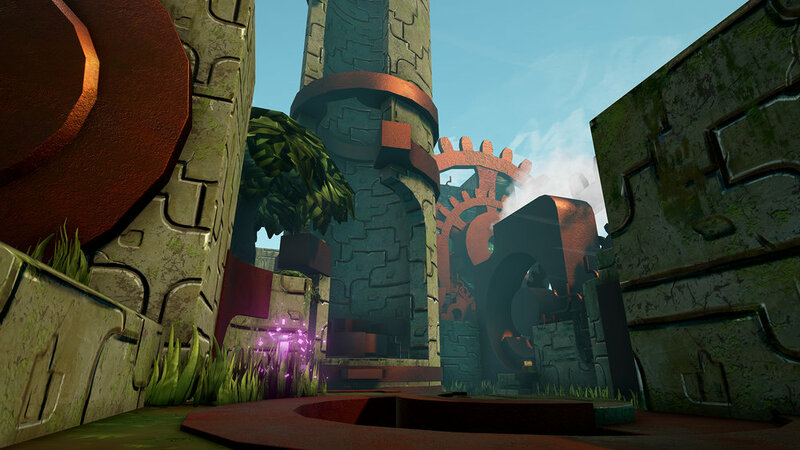 Guardian of the Gears is a senior game developed at DigiPen Institute of Technology in Unreal Engine 4. 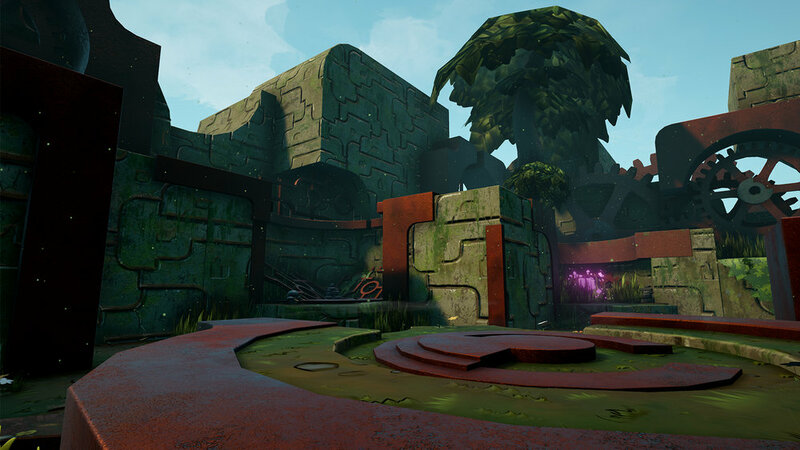 From the start when thinking of ideas for our game, as the environment artist I wanted to focus on creating an environment that will react to the player's actions and provide feedback in an interesting way. 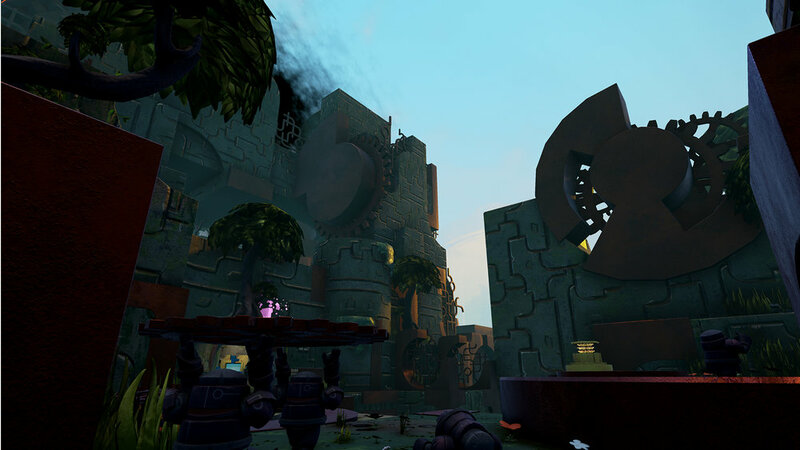 We thought about ways changing the environment could go hand in hand with fun and engaging gameplay. From the beginning I wanted to create a modular kit that can be used to populate the white box level the designers would make. This would allow me to expedite the process of populating the larger shapes such as floors and walls while keeping the shape language consistent. Using a base tiling stone texture I made we were able to generate the textures for the environment. There were a lot of challenges when trying to take the white box level and making the moving geometry fit together, and not clip into each other. There were areas that I had to adjust in order for the moving pieces to make sense functionally. Naturally when considering a moving environment we looked to references like clockwork and gears in machinery. 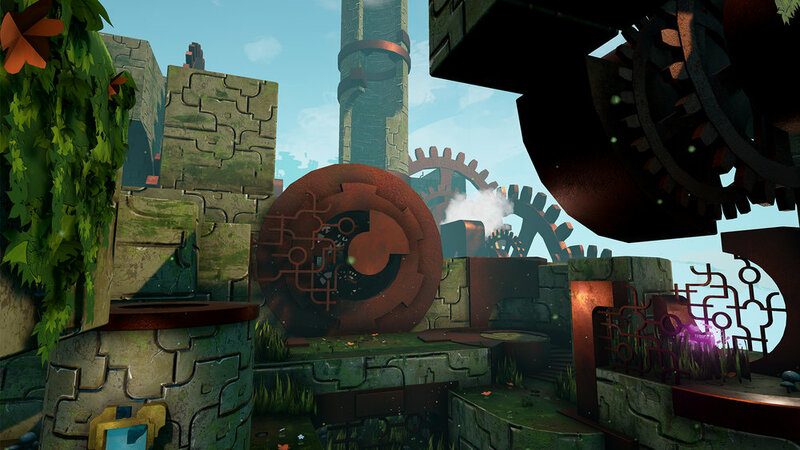 We liked the idea of an environment that would initially be open or "broken" and the player's objective would then be to go around and fix the environment. Even in the very early stages of exploration of shape language and how these mechanical parts would be moving I started to develop a modular kit that could be used to create different parts of a level while keeping the shapes consistent and making sure the whole level felt cohesive.